In this blog, we share a new infographic based on this popular blog post illustrating some of the critical interactions that need to take place between data management and statistics groups to help ensure efficiency and data quality. Data management is an essential building block for successful Immuno-Oncology (I-O) trials. At the Immuno-Oncology Clinical Trials operations meeting in New York in earlier this year, Patti Arsenault, VP Quality Assurance at Cytel discussed with Christopher Lamplugh, AVP, Clinical Data Management, Global Data Operations at Merck, the key challenges for data management in the space, and what’s needed to overcome them. The management of quality clinical data collection is built on a number of core essentials- including project management, timeline management, understanding of the deliverables, alignment with statistics and selection of the right technologies. However, clinical development is a complex business and clinical data management approaches must be tailored to meet the specific needs of the trial. In this blog, we take a look at some of the key considerations to be addressed by data management across the different clinical development phases. As CDISC compliant submissions become increasingly expected, biopharmaceutical companies are considering how to approach the issue of data standards governance. Standards governance is a lynchpin in the management of CDISC compliance and is important for promoting standards awareness within organizations. It’s also an acknowledged hot topic in the industry. It has traditionally been common practice for biopharma companies to outsource their CDISC conversion of legacy data for the purpose of publications and submissions to expert CROs. 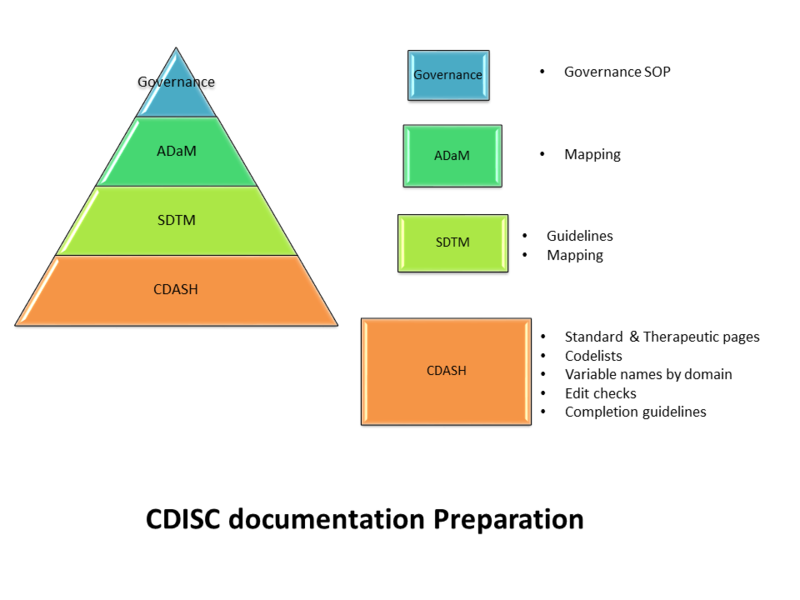 While large biopharma organizations may have dedicated in-house teams deployed to the management of standards governance, the dynamic nature of CDISC requirements means companies can struggle to find the resources to keep up to date and provide the best interpretation of the documentation. Outsourcing can be an option to ensure dedicated staff are available to manage and monitor these aspects and ensure companies remain submission ready. To close a clinical database right the first time you have to begin with study start-up. Clearly, you can’t close a database if the data is not cleaned and you can’t have clean data unless you know what is most important for analysis. It’s imperative that data management works closely with the statistics group during CRF/ eCRF design to ensure data is being collected and data checks are being written in a meaningful fashion. But that’s still not enough. The data should be cleaned on a regular basis and forms locked as soon as the data has been SDVd and reviewed. Even then, it will be important to have your statistics team run listings and tables early on to catch anything unexpected. 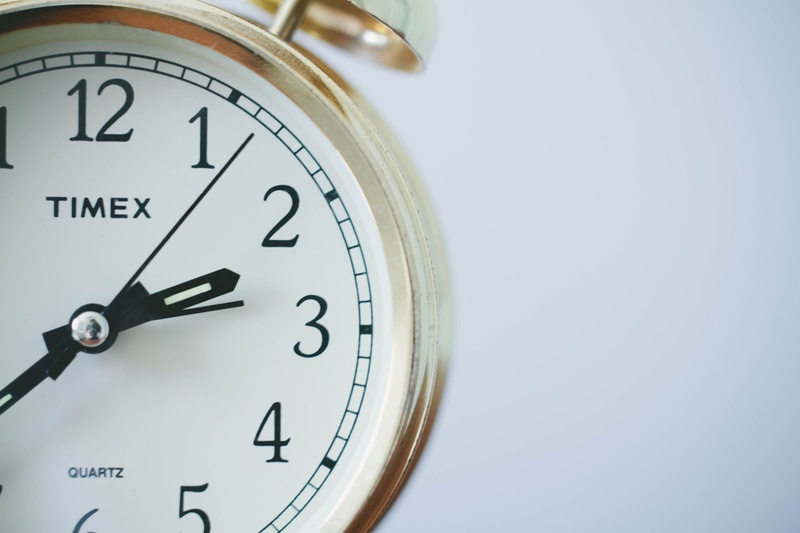 If the data is cleaned and locked by the time the last patient visit comes around then getting Principal Investigator sign-off and ultimately closing the database can run much more smoothly and quickly. Database lock is a significant milestone in the clinical trial, upon which further data analysis and reporting timelines depend. The Clinical Data Manager is responsible for steering the data management process to ensure that the database is locked on time, and correctly. 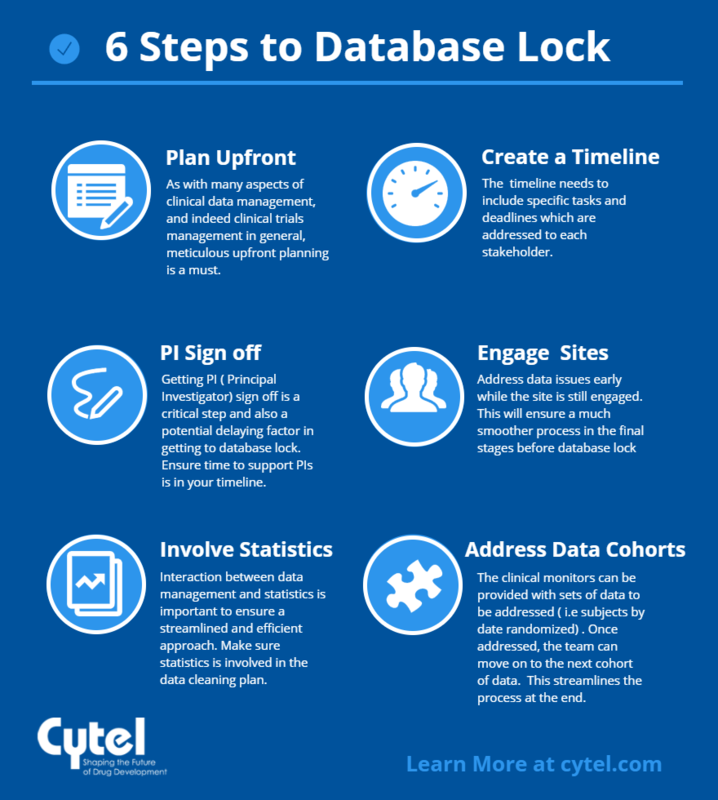 In this blog we lay out the 6 steps to database lock success. How do you go about selecting the best Electronic Data Capture (EDC) system for your study? There is now a vast amount of choice in the market, and many factors to take into account before making your decision. Different stakeholders within the business may also have different perspectives, so any decision making process needs to balance these disparate needs. Vendor selection is a critical component of ensuring clinical trial success. A 2015 report (1) suggested that clinical outsourcing penetration will reach 72% by 2020- nearly 3 quarters of all clinical trials will be outsourced to professional CROs. 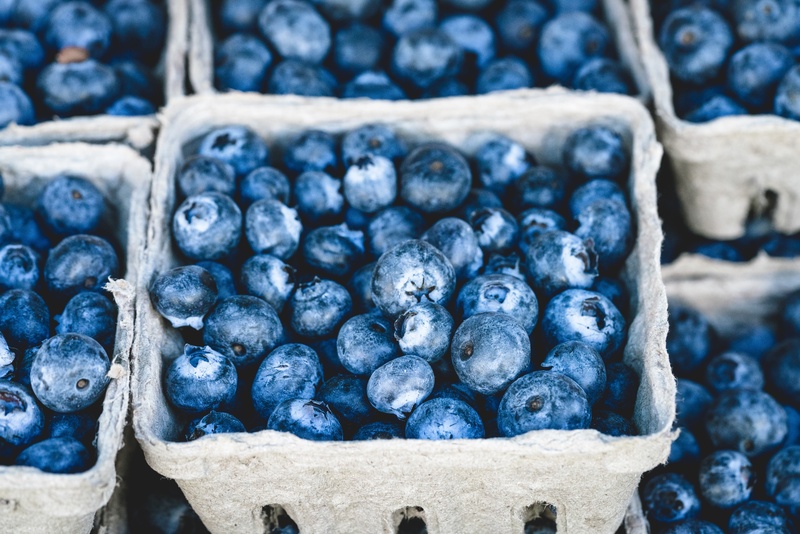 The process of vendor selection and management may be managed by the clinical operations teams within smaller companies, or by outsourcing and functional groups within larger organizations. 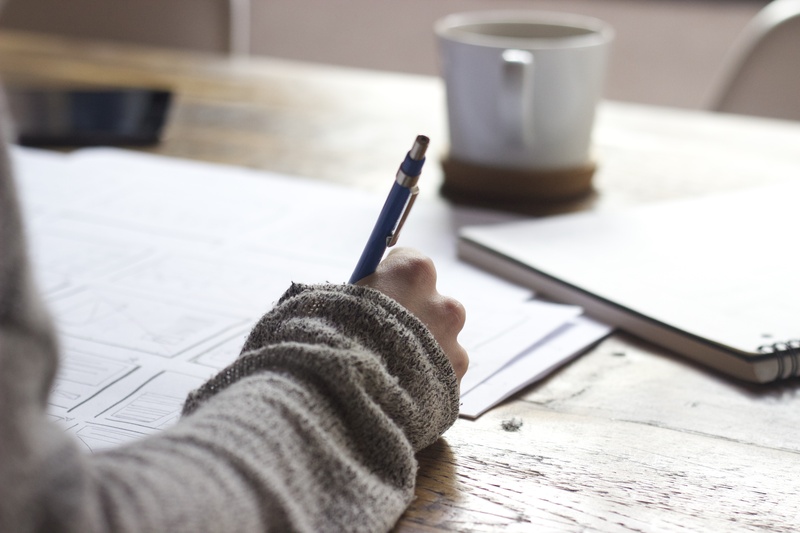 The RFP process is a critical part of vendor evaluation, involving significant effort from the sponsor and CRO to ensure that a well-constructed, accurate proposal is created which can deliver what the sponsor needs. 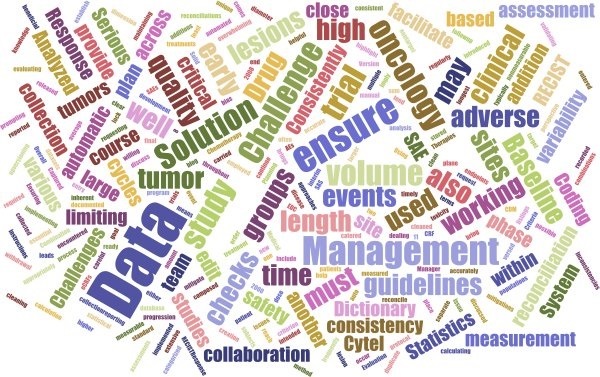 In this blog we’ll highlight some unique challenges that are encountered from a Data Management perspective when working on early phase Oncology trials. We’ll also discuss approaches which can be employed to mitigate these issues.